Virtual reality systems can create out-of-body experiences — and these experiences may be able to reduce the fear of death, according to a recently published study. 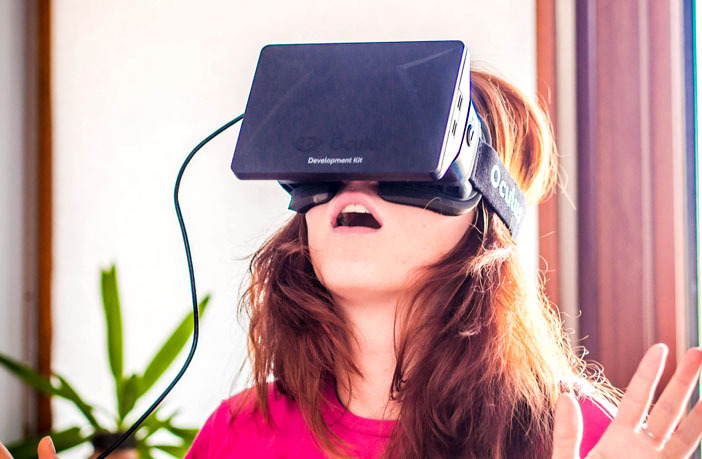 The study, published in the journal PLOS One, used an Oculus Rift virtual reality head-mounted-display to induce out-of-body experiences in 16 women. The researchers used a virtual reality simulation to induce what is known as the “full body ownership illusion.” They created the illusion that a virtual human body in the simulation was the participant’s own. After this illusion took hold, the participant’s perspective was then shifted from first-person to third-person, making it seem as if their visual perception had been lifted out of their body. Another 16 women, who were used as a control group, experienced a similar virtual reality simulation except the researchers did not induce an out-of-body experience. After the simulation, the participants who had the virtual out-of-body experience had lower levels of fear of death on average than the control group. The research, however, is still in the preliminary stages. “We have another more sophisticated study that has been completed that will hopefully be published in a few months,” he added. The study, “A Virtual Out-of-Body Experience Reduces Fear of Death“, was also co-authored by Pierre Bourdin, Itxaso Barberia, and Ramon Oliva. It was published January 9, 2017.